I was walking southeast on Embarcadero over a bridge, and I spied an interesting mixed flock of geese and some goslings, below near the water. I stopped to point my camera down and take a few photos, when I heard a voice say: "You can come down here to take a closer look if you want." No, I wasn't hearing voices, there was someone under the bridge; and so, call me crazy, I left the road and made my way down to take a closer look. 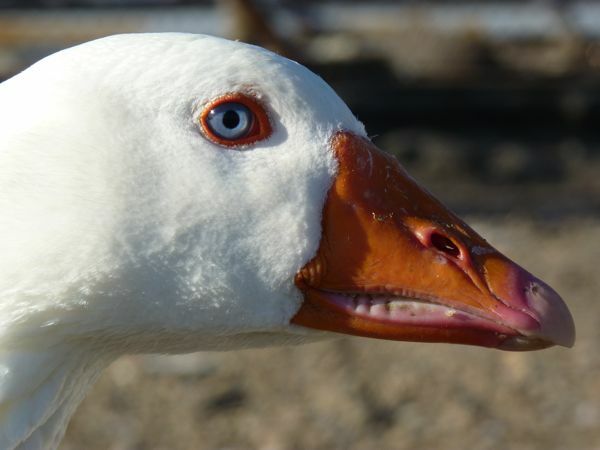 I ended up speaking with a homeless man who I will call "the guardian of the geese." He was very knowledgable about the geese (and the few domestic ducks), and could tell me the breed, the diet, and something about each member of this avian crew. This is not something I ever would have seen driving by in a car. And this is why walking the Bay is so interesting. And, sometimes, you just have to leave civilization and sit down in the dirt to get an eye-level view of a goose. After this visit, I continued walking south on Embarcadero, as far as 10th, then cut west to a boardwalk along the water, then to a small shopping center (with a Quiznos and a Starbucks) before turning around and heading back to the car. 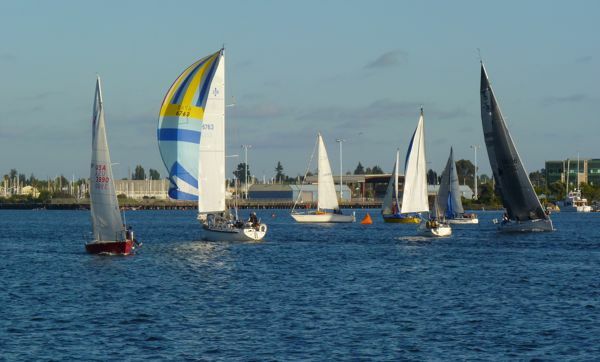 On the way back, I enjoyed watching a group of sailboats before the sun set. 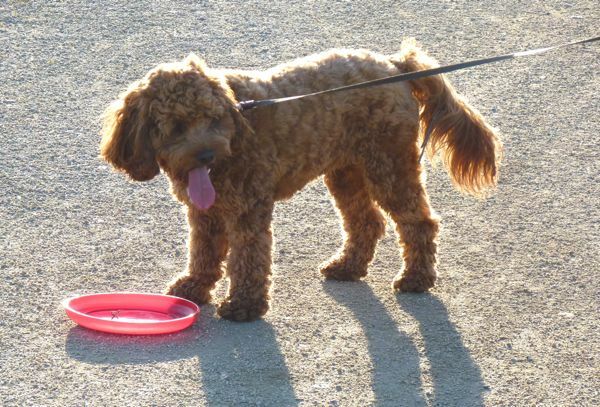 Thanks to Yogi the dog's owner for letting me take a picture of Yogi playing with the frisbee/disk. 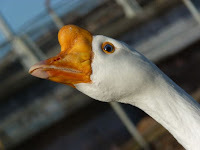 37 pigeons; 20 geese (14 mixed, non-Canadian geese, 6 goslings -- 6 were white-fronted geese); 2 "domestic" ducks; 1 crow; 1 sea gull; 2 little brown jobs (LBJs); 2 balls; Yogi the dog w/ Frisbee in park; 2 Canada geese.